Juliana's hardtail cross-country weapon is now only available in carbon, and has received some updates that Juliana claims will make it more compliant and stable, while still maintaining the bike’s razor-sharp handling. The new Nevis CC XTR with the optional ENVE upgrade. The new Nevis follows the long-and-low trend with a slightly longer top tube at 23.62 inches for a size medium, which allows the rider to run a shorter stem/bar combination and achieves the handling characteristics that riders are asking for. The chainstays have been chopped down to 16.73 inches, and the head angle is now 69 degrees. 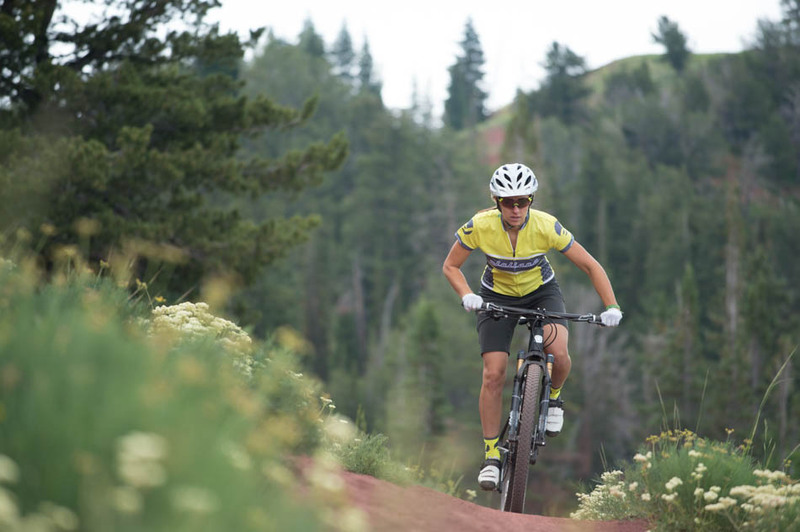 According to Juliana the slacker geometry give the Nevis a ride that is "nimble on the ups, stable on the downs, and pretty darn perfect everywhere else!" Juliana Ambassador Lydia Tanner testing out how the new Nevis handles in the rough. 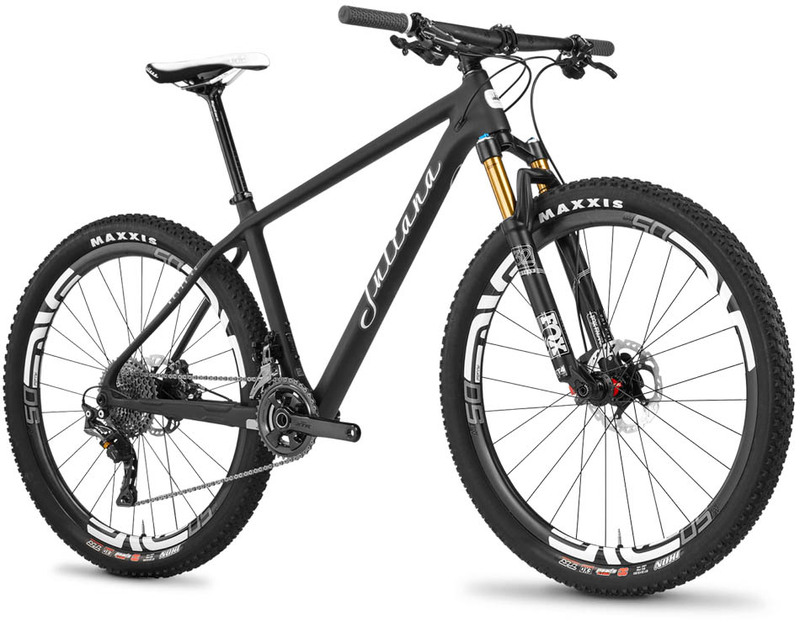 All models of the Nevis will roll on 27.5-inch wheels, and depending on the model either a Rockshox Recon or Fox 32 Float will cushion the ride up front with 100 millimeters of travel. The new Nevis is designed to allow some flex in the frame for more comfort on longer rides, with new seat stays and a seat tube that accepts a 27.2-millimeter seat post. A standover height of just under 29 inches on a size medium leaves some room if the rider needs to step off in a hurry, and the Nevis comes stock with Juliana's women's-specific grips and saddle. Cable routing on the Nevis is now internal, with full-length carbon tunnels to make changing a cable as pain-free as possible. The frame is also fully compatible with Shimano Di2 and SRAM Connectamajig. A new paint job, or rather the lack of one, saves a quarter pound in weight, resulting in a size medium frame weight of 2.1 pounds. The two frame options, C or CC, differ in weight by only 280 grams. Juliana claims the frames’ performance is exactly the same outside of the weight difference. Small, medium and large sizes will be available with six build options starting at $2699 for the Nevis C R build, and going up to $6599 for the Nevis CC XTR build. If you want to add ENVE wheels to your Nevis, it'll cost you an extra $2000. The Nevis CC is also available as a frame only for $1899. Visit julianabicycles.com for full details and specs on the new Nevis, which is slated to be available in July. It left. Then it came back. Then it really came back.